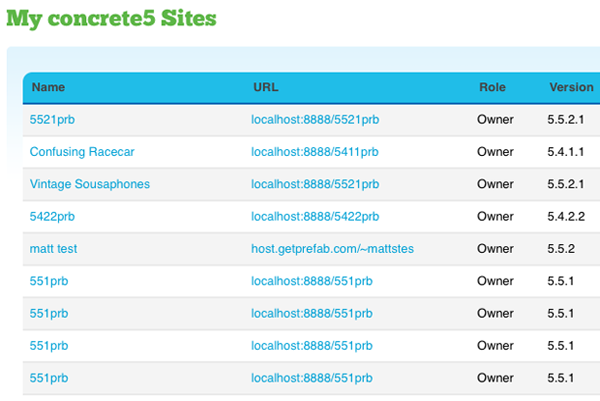 As you work with concrete5, you'll likely want to connect your sites to your concrete5.org profile in order to easily download themes and add-ons. If you've connected more than a few sites, or duplicates of the same site, it might be desirable to "clean up" old projects that you're certain that you no longer need. Over on the blue sidebar at the right side of the page, find a link titled "Edit Project". Find a red button labeled "Delete Project". Click it. You'll be asked to confirm. 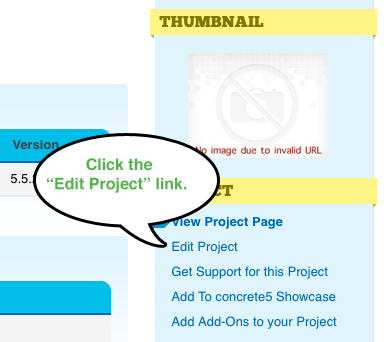 When you click "OK" in the popup confirmation window, your project will no longer be connected to the concrete5.org community. Note: keep in mind that this is your last chance to cancel-- so take a breath and make sure you want to delete it. When I deleted the project, what happened to my project's licenses? Any license assigned to the project at the time of deletion will be automatically released. They'll then be available to assign to other projects. Visit your Projects Page to get started. When I deleted the project, what happened to the actual website? 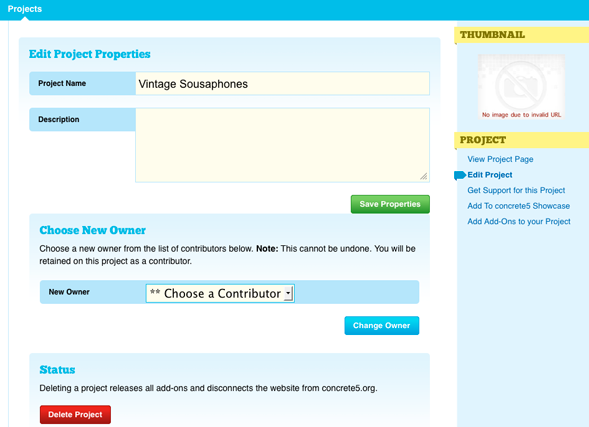 To connect a deleted project to your profile again, you simply need to visit Dashboard > Extend concrete5 > Connect to the Community and re-connect the site to your concrete5.org profile. This will be registered as a new, separate project. Also, keep in mind that you'll need to re-assign your licenses to the new project to get your site fully reconnected.